Then I checked myself. You hypocrite! Only the day before, after becoming aware of the Burrows and Badgers Kickstarter: Freelancers, I had dropped over £70 on miniatures that I did not need (not that we ever need miniatures but that’s another debate). In fact I’d missed the KS and contacted Jo at Oathsworn Miniatures about jumping in late. In top-drawer customer relations she said of course. “Just email us with what you want”. Long story short, after much goggling of very pretty and characterful miniatures my list got very very long. Then I saw that miniatures from their previous KS were available too. That did it. In my opinion the selection in the first KS were even better than those in the second. I emailed Jo. “Sure, and we can post them out now, we have some in stock.” Damn. “Spawn of Satan” I called her (honest, ask her). 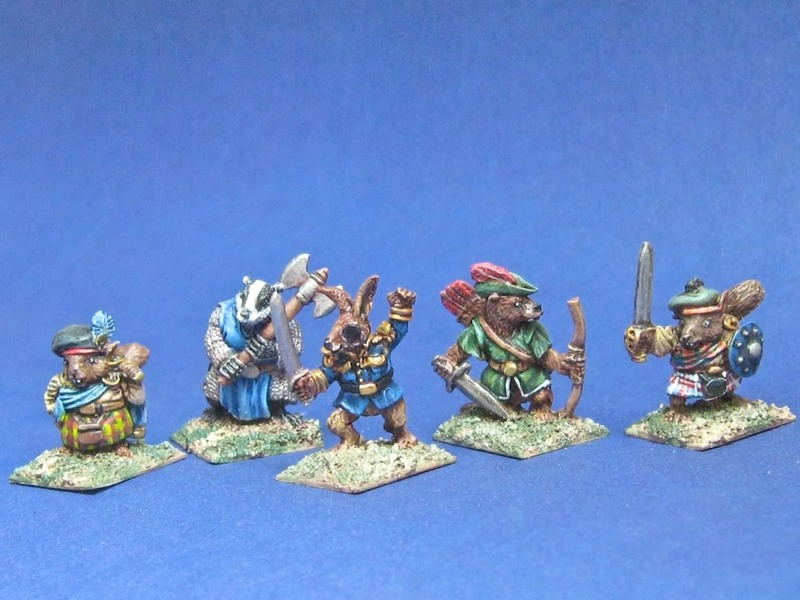 So there you go, £70+postage for a host of Woodland Critters in 28mm. I expect them to arrive soon. My preferred scale at the moment is 15mm. These are 28mm (although the scale ranges quite widely I believe depending upon which critter). I already own a significant number of Woodland Critters of a similar nature in 20mm from Splintered Light Miniatures – you can see them here and here. These are great alongside 15mm as ‘larger than life critters’ or as ‘life size critters’ next to 28mm miniatures. I don’t even need to ask if any gamers or miniatures collectors out there have similar stories. Of course you do. I post this now by way of clearing my own conscience a little. Therapy? Update: Woodland Critters arrived safe and sound from Oathsworn in very good time and order. The little guys look as good in the flesh (metal) as they do in the pics. Some are far bigger than I thought – that swinging Badger is a big chap. 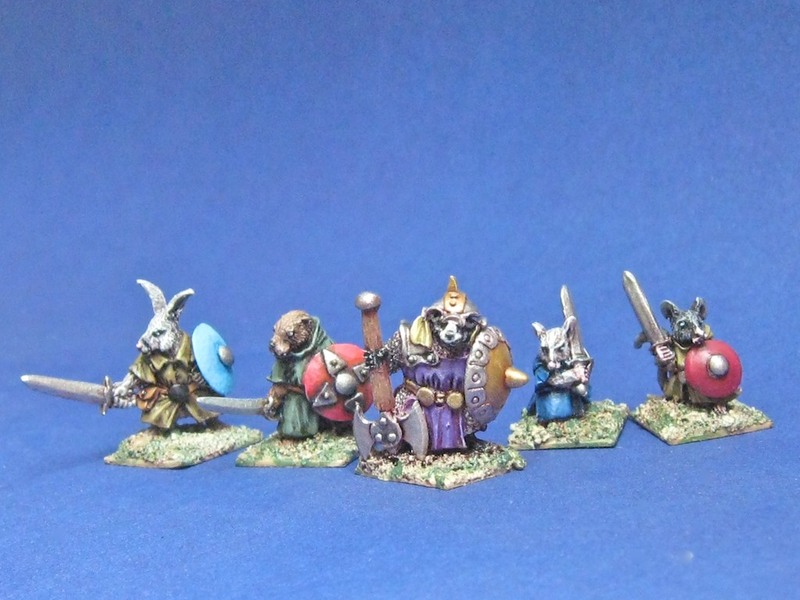 Some, if not all, will move up the painting queue pretty smartly (Intention is to use them for Frostgrave/Open Combat/SoBH skirmishing wargames – though I’ll be having a look at Oathsworns own set in good time). Hi Satan (Jo – I’m sure there’s nothing evil about you at all). I suppose you’re right. If I count the number of times I’ve clearly not followed the wisest path vs those where I have, then I’ve failed as a father. Never mind, there’s always the next life to do better. Like you said, all is well. More importantly I’ve stated prepping some of the Oathsworn. An important bonding period.